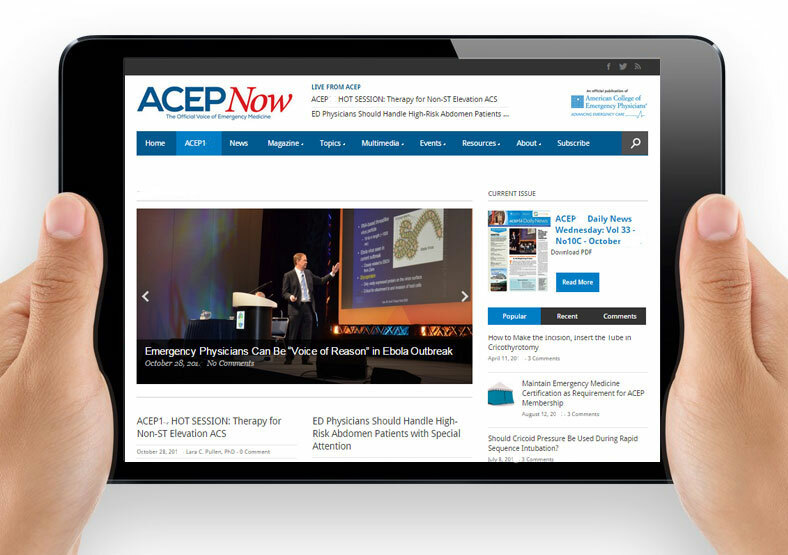 ACEP Now is the official publication of the American College of Emergency Physicians. The content is written by physicians for physicians. 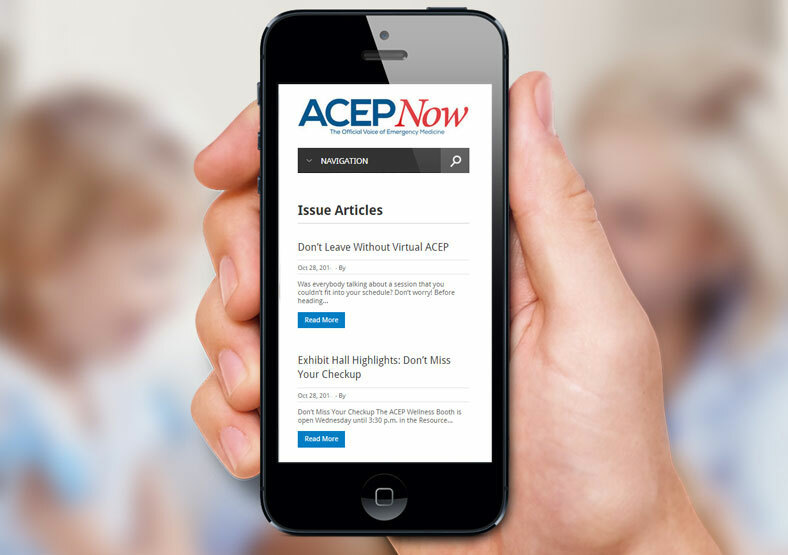 Each issue delivers cutting edge news, tips and updates, and the most up to date information on U.S. healthcare reform. 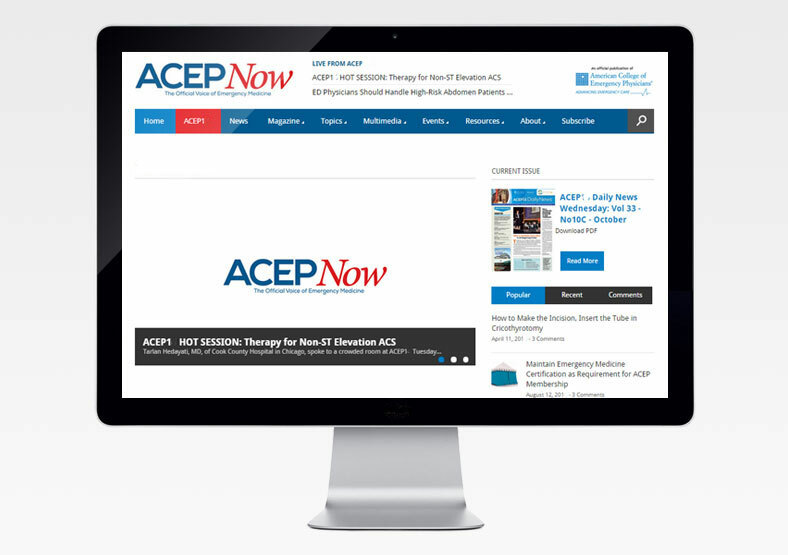 Public built the website for ACEP using WordPress, so it can be easily updated by non-technical administrators. The site includes the capacity for banner advertising fed by a third-party system. The site is search engine optimised throughout, and was built to be responsive so it can be properly viewed on desktops, laptops, tablets and smartphones.